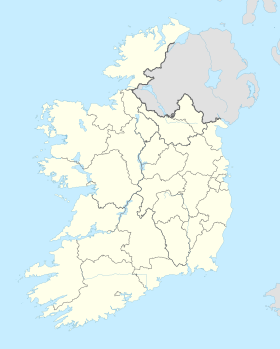 The League of Ireland (Irish: Sraith na hÉireann), together with the Football Association of Ireland, is one of the two main governing bodies responsible for organising association football in the Republic of Ireland. The term was originally used to refer to a single division league. However today the League of Ireland features five divisions – the Premier Division, the First Division, an U19 Division, an U17 Division, an U15 Division and starting March 2019 an U13 Division. The League of Ireland has always worked closely with the FAI and in 2006 the two bodies formally merged. All the divisions are currently sponsored by Airtricity and as a result the league is also known as the SSE Airtricity League. In 2007, it became one of the first leagues in Europe to introduce a salary cap. The league's most successful club is Shamrock Rovers who have won 17 titles. Together with Dundalk, Bohemians and Shelbourne they are one of four clubs in the league to feature a golden star above their badge in recognition of winning ten titles. Bohemians are the only club in the league to have played every season in the top division. The League of Ireland was founded in 1921 as a single division known as the A Division. The first season featured eight teams, all from County Dublin. The teams that competed in the first season were Bohemians, Dublin United, Frankfort, Jacobs, Olympia, St. James's Gate, Shelbourne and YMCA. The eight founding members had spent the 1920–21 season playing in the Leinster Senior League. Bohemians and Shelbourne had played in the 1919–20 Irish League. St James's Gate were the inaugural champions. Gate also went on to complete a treble having already won both the 1921–22 FAI Cup and 1921–22 Leinster Senior Cup. In 1922–23 the league was expanded to twelve clubs. Among the new members were Shamrock Rovers, who finished as champions, and Athlone Town who became the first team from outside County Dublin to compete in the league. Together with fellow Dublin clubs teams, Bohemians and Shelbourne, Shamrock Rovers would go onto dominate the league during the 1920s and the 1930s. In 1924–25 Bray Unknowns and Fordsons became the second and third teams from outside County Dublin to join the league. Fordsons also became the first team from Munster to play in the league. The league continued to expand numerically and geographically during its first two decades of existence. In 1926–27 Dundalk were elected to the league and in 1932–33 became the first club from outside County Dublin to win the title. Dundalk were subsequently joined by Waterford in 1930–31, Cork Bohemians in 1932–33, Sligo Rovers in 1934–35 and Limerick F.C. in 1937–38. In 1936–37, Sligo Rovers became the second club from outside County Dublin to win the title. During The Emergency/Second World War era Cork United emerged as the league's strongest team. The club won five league titles between 1940–41 and 1945–46, including three in succession. However they subsequently resigned from the league in 1948. The 1950s was marked by the emergence of St Patrick's Athletic and the re-emergence of Shamrock Rovers. The former succeeded in winning the title at the first attempt in 1951–52 and claimed a further two in the middle of the decade. In 1953–54 the Coad's Colts earned Shamrock Rovers their first title in fifteen years. Drumcondra and Dundalk claimed two League of Ireland titles each during the 1960s but Waterford secured their status as the team of the decade with four league titles, including three in succession between 1967–68 and 1969–70. Six clubs won the League of Ireland title during the 1970s with Waterford, Bohemians and Dundalk winning two titles each. Athlone Town won two league titles at the start of the 1980s but the decade was marked by the four successive league titles won by Shamrock Rovers between 1983–84 and 1986–87. Following the conclusion of the 1984–85 season the league was restructured and the A Division was replaced by the League of Ireland Premier Division. The League of Ireland first organised a second level division in 1964–65. The B Division featured reserve teams and emerging senior teams. Although there was no relegation and promotion to and from the A Division, a number of B Division teams, including Home Farm, Bray Wanderers, Athlone Town, UCD, Longford Town and Monaghan United, were subsequently elected to the A Division. In 1985–86 the B Division was replaced as the second level division by the First Division. The First Division featured first teams and a relegation and promotion system operated with the new Premier Division. Between 2008 and 2011 the FAI organised a short lived national third level league known as the A Championship. Like the earlier the B Division, the A Championship featured a mixture of League of Ireland reserve teams and emerging senior teams. Unlike the B Division, a promotion and relegation system operated between the Premier Division, the First Division and the A Championship. Since 2000–01 the League of Ireland has organised a youth league. It was originally an under-21 league, later becoming an under-20 league, but is now an U19 league. The winners of the overall competition are awarded the Dr Tony O'Neill Cup. In 2015, the League of Ireland also introduced an U17 league. An under-15 league was introduced in 2017, beginning with a truncated season, before fully aligning with the League of Ireland calendar in 2018. An under-13 league is planned to start April 2019. Apart from the current twenty members, at least 39 other clubs have competed in the League of Ireland at one time or another. Some of these clubs are still active, playing in intermediate and junior leagues. The list below only includes teams that played in the A Division, the Premier Division and the First Division. Shamrock Rovers 17 1922–23, 1924–25, 1926–27, 1931–32, 1937–38, 1938–39, 1953–54, 1956–57, 1958–59, 1963–64, 1983–84, 1984–85, 1985–86, 1986–87, 1993–94, 2010, 2011 13 1925-26, 1932-33, 1939-40, 1941-42, 1955-56, 1957-58, 1964-65, 1965-66, 1968-69, 1969-70, 1970-71, 1981-82, 2001-02. League of Ireland games are broadcast by both RTÉ and Eir Sport. In 2014 it was announced that RTÉ will show 78 live Premier Division and FAI Cup games as part of a new agreement with the FAI. The agreement expires in November 2018. RTÉ also broadcast a highlights show, Soccer Republic, throughout the season. In 2015 the FAI agreed a deal with TrackChamp to stream all Premier Division and First Division outside Ireland. ^ "About FreeSports". FreeSports. 28 August 2017. Retrieved 28 August 2017. ^ "FreeSports Football". FreeSports. 25 August 2017. Retrieved 28 August 2017. ^ a b Ahern, Neil (1 June 2010). "All clubs back FAI's league role". www.independent.ie. Retrieved 1 June 2010. ^ a b c d e f Graham, Alex. Football in the Republic of Ireland a Statistical Record 1921–2005. Soccer Books Limited. ISBN 1-86223-135-4. ^ a b c d e "(Republic of) Ireland League Tables". www.rsssf.com. Archived from the original on 21 February 2008. Retrieved 6 July 2016. ^ "The Rise of Cork United". www.corkpastandpresent.ie. Retrieved 26 September 2016. ^ "To B or not to be Brian Quigley's thoughts on the League of Ireland B Division". leagueofireland.ie. Retrieved 6 September 2016. ^ Lynch, Frank (1991). A History of Athlone Town F.C: The First 101 Years. Athlone: Arcadia. ^ "(Republic of) Ireland League Tables – Second Level". www.rsssf.com. Archived from the original on 3 June 2009. Retrieved 10 July 2016. 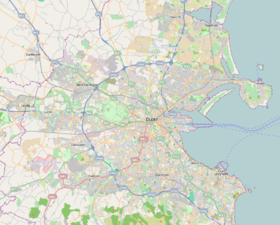 ^ "What Happens (To) Teams That Enter The League Of Ireland First Division?". www.balls.ie. 20 February 2015. Retrieved 26 March 2016. ^ "Ireland 2008". www.rsssf.com. Retrieved 25 July 2016. ^ "Roll of Honour". loi19.com. Retrieved 15 September 2016. ^ "List of Winners". foot.ie. 17 November 2009. Retrieved 16 September 2016. ^ "New Under-17 league". www.wexfordpeople.ie. 19 May 2015. Retrieved 7 September 2016. ^ "FAI unveil new U17 league format". extratime.ie. 16 May 2015. Retrieved 27 September 2016. ^ ""The future for the League of Ireland is to have academies" according to Ruud Dokter". Newtalk Off the Ball. newstalk.com. Retrieved 28 September 2016. ^ "'Ruud Dokter must be strong and stick to the mantra 'the best, with the best, against the best". The 42. the42.ie. Retrieved 28 September 2016. ^ "Vacancy: Under-15 head coach". Sligo Rovers official website. sligorovers.com. Retrieved 28 September 2016. ^ "RTÉ and FAI announce 78-game TV deal". www.rte.ie. 29 August 2014. ^ "Soccer Republic programme kicks off on 10 March". www.rte.ie. 26 February 2014. ^ "eir Sport set to broadcast the Dublin Derby between Shamrock Rovers and Bohemians". www.sseairtricityleague.ie. 8 July 2016. Retrieved 28 September 2016. ^ "Soccer on eir Sport". www.eirsport.ie. Retrieved 28 September 2016. ^ "League of Ireland games to be streamed outside Ireland". www.thesun.ie. Retrieved 28 September 2016.